7" x 4" B/W photograph on gallery card stock of class outside the Conway High School. On the reverse is written "Horn" and also a sticker "Boyden" is attached. A. E. Alden (Photographers), Boston, Mass. 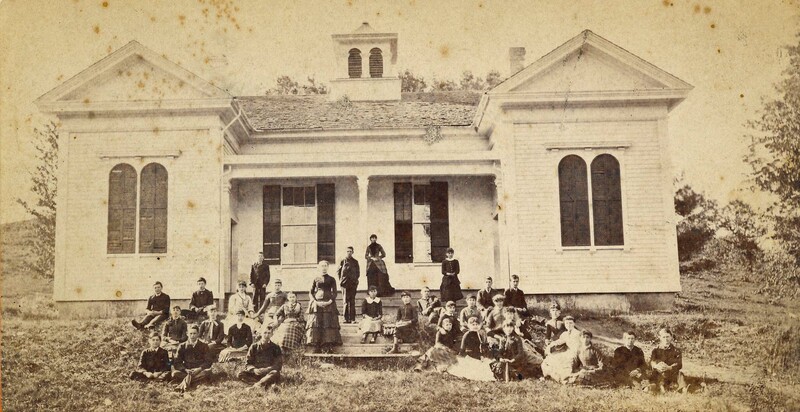 A. E. Alden (Photographers), Boston, Mass., “Conway High School Class Photo,” Conway Historical Society, accessed April 21, 2019, http://conwaymasshistory.org/items/show/989.